The Shikahogh Reserveis situated in the northern slopes of the Meghri ridge that protects the area from hot air masses from the Iranian Plateau, while the high Zangezur range stretches from north to south and slows humid air from the Caspian Sea. Such a system of mountain ranges and ridges creates a wide diversity of climate conditions. The Reserve is a sanctuary for many disappearing and endemic species like Galanthus transcaucasicus, G.artjuschenkoae, Tulipa confusa, Pyrus zangezura, Symphyandra zangezura, Hypericum Eleonorae. There were over twenty types of local plants included in the Red Books of Armenia and former Soviet Union. Thanks to the mild climate and numerous close gorges not only single representatives, but whole communities and islands of tertiary flora have survived here. 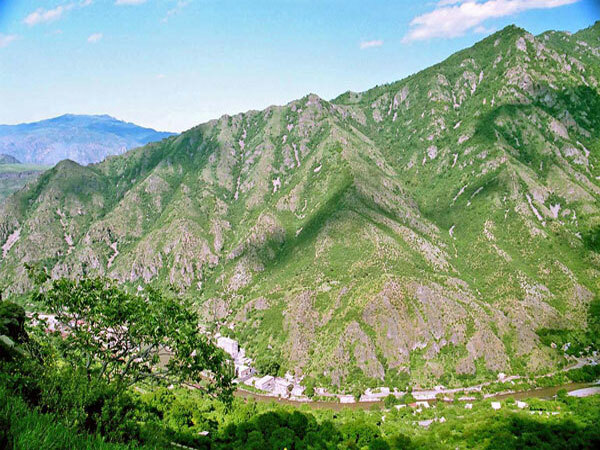 There are numerous historical monuments everywhere on the territory of the reserve - nearby the roads, at the rocky slopes, and in the deep canyon Iron Age tombs, ancient fortresses, shrines, bridges, medieval churches and monasteries are situated.